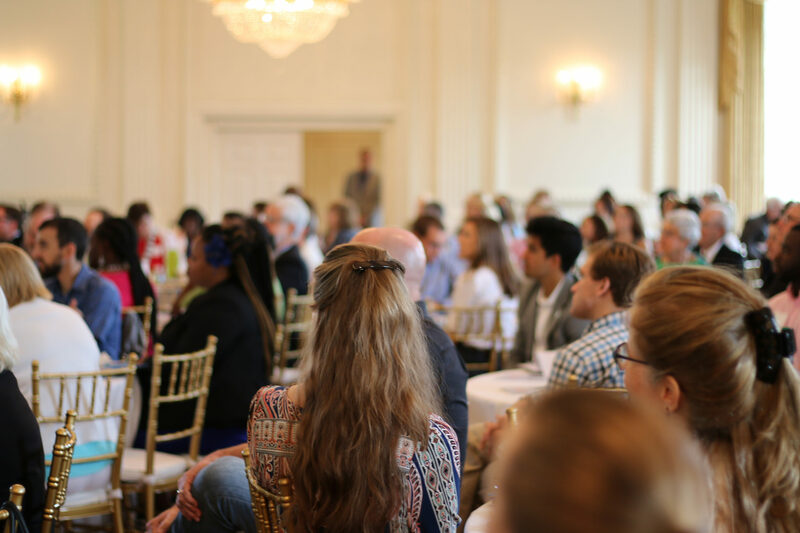 The 2018 Civic Institute is your chance to connect with civic-minded change-makers and thought leaders from across Alabama in a dialogue on our state’s past, present, and future. The DMC is excited to announce our 3rd annual Civic Institute on Friday, August 17, 2018 at the American Village in Montevallo, Alabama. We hope any and all Alabamians will consider joining us for a day of networking, dialogue, engaging speakers, and interactive sessions centered around some of the most profound issues we encounter in our state. With Alabama’s bicentennial on the horizon, we believe that the Civic Institute is the perfect event to collectively ponder the power of our citizens and our communities to build the kind of Alabama they want to call home. Participants will join sessions on topics including collective memory and public life, developing sustainable civic engagement projects in higher education, and how to address difficult issues together as a community. Dr. David Mathews, president and CEO of the Kettering Foundation, will deliver the luncheon keynote address, followed by an engaging panel featuring Alabamians working to make a difference in the state. The Elephant in the Room: Talking About Difficult Issues: Talking about challenging issues in a divided political climate is hard. Listening to those we disagree with is difficult. Finding opportunities to bridge divides and discuss the “elephants in the room” in a productive, civil manner that prioritizes understanding over consensus is even more challenging. During this interactive session, learn from Alabama communities that are engaging citizens in deliberation on some of the most divisive public issues facing communities today. Discover tools and resources you can use to tackle the issues facing your community. Chris McCauley of Markstein will moderate; additional speaker details are forthcoming. This session is made possible by a generous sponsorship from The Blackburn Institute at the University of Alabama. Collective Memory and Public Life: The issue of monuments and memorials in public spaces divides communities around the nation, and people of goodwill on all sides of the issue struggle to hear each other productively. In this facilitated discussion, participants will discuss what concerns them the most regarding this issue and whether they can imagine opportunities for deliberation within their communities and networks. This session will be moderated by Dr. Mark Wilson, Director of the Caroline Marshall Draughon Center for the Arts and Humanities at Auburn University. Additional speaker details are forthcoming. Stay tuned for additional sessions on civic engagement in higher education, civic media and storytelling, faith & civic life, and the role of civic education in active citizenship. To register, visit 2018civicinstitute.eventbrite.com. Tickets for the day are $30 and lunch-only tickets are $15. An early bird registration discount of 15% is available through May using the promo code MAY15; if you are bringing a group of 3 or more, contact the event organizer at rcleveland@mathewscenter.org for an additional 20% off. If the cost of attending presents a burden for an individual or an organization, please email the event organizer; there is a limited amount of scholarships available. And, if you’re interested in sponsoring a seat, a session, or becoming a lunch sponsor, please email our Executive Director, Cristin Brawner, at cfoster@mathewscenter.org. We hope to see you on August 17! The Creek War of 1813-14: What Would You Do?